A 35-year-old man walking in North Park Thursday was wounded by shots fired from a car, but is expected to survive. 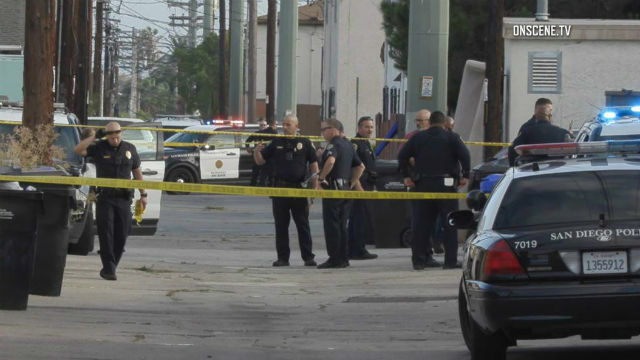 The shooting occurred about 5:15 p.m. in the 4100 block of Utah Street when a sedan pulled alongside the victim and people inside began arguing with him, according to San Diego Police Department Officer Robert Heims. The front passenger in the car shot the victim before the car drove away heading south on Utah Street, Heims said. “The victim was hit in the arm and the buttocks,” Heims said. The man was taken to a hospital for treatment of injuries described as non-life-threatening, Heims said. No suspect or vehicle descriptions were made available.